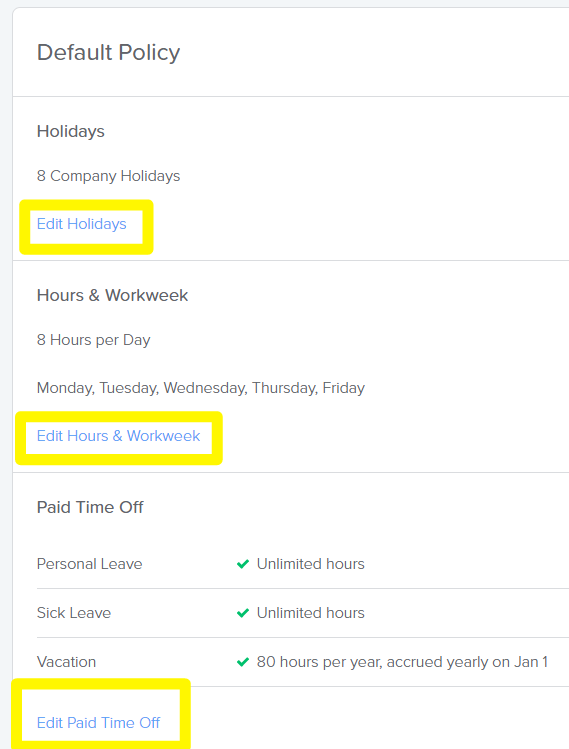 As an admin, how do I edit a time off policy? 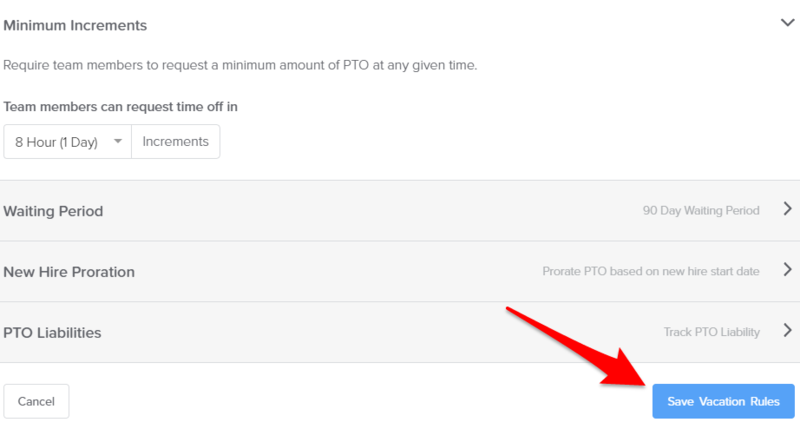 To edit the time off policies for your employees, follow the steps below. 3. Before you make any other changes, make sure you are on the correct policy! Click the Edit button next to the plan you want to make edits to. If you have more than one, the settings will be different and need to be changed individually. 4. To make edits, scroll to the section you want to change and hit "Edit"
5. Once you make edits to any rules, click Save before moving on. 6. 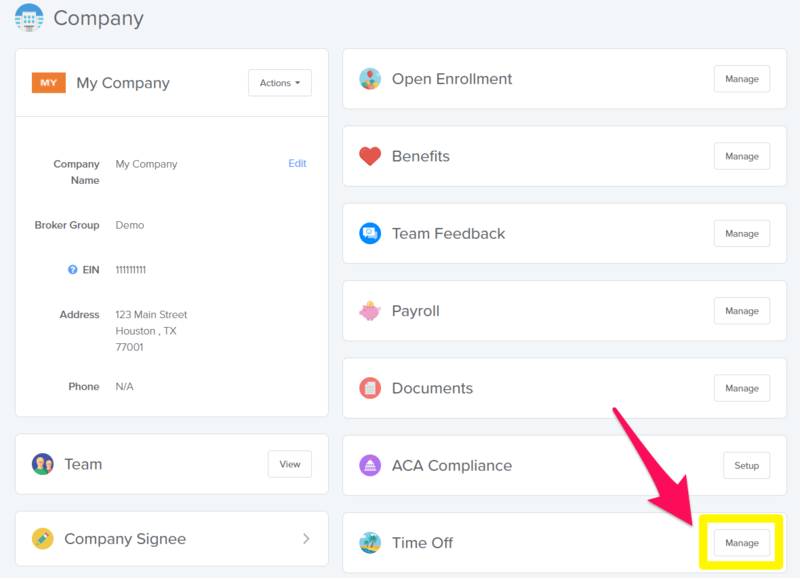 Any changes you make will not apply to employees currently on these policies. 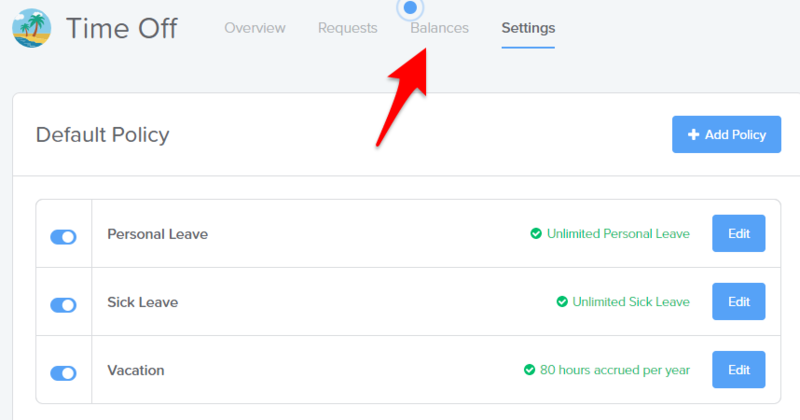 If you need to edit employee balances individually, you can do that on their profiles or at the top of the Time Off page under Balances.